Stitchworks, founded in 1995 was originally designed to provide cost affective embroidered goods to their local community in Rochester, N.Y. 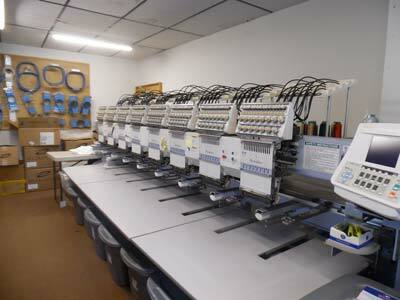 Since that time Stitchworks has grown to become a supplier to much of the upstate New York area. In keeping with their intent to keep cost effective pricing, the Stitchworks policy has always been to keep as much of the production costs as possible in house. Now they are proud to say that the process from artwork to a finished product is done just that way. Being suppliers of quality embroidered, and screen printed products is what Stitchworks strives to provide, and with the addition of school uniforms we have become one of the premier suppliers in the upstate New York area.